Anything chalkboard related is still hot, hot, hot these days in decor. 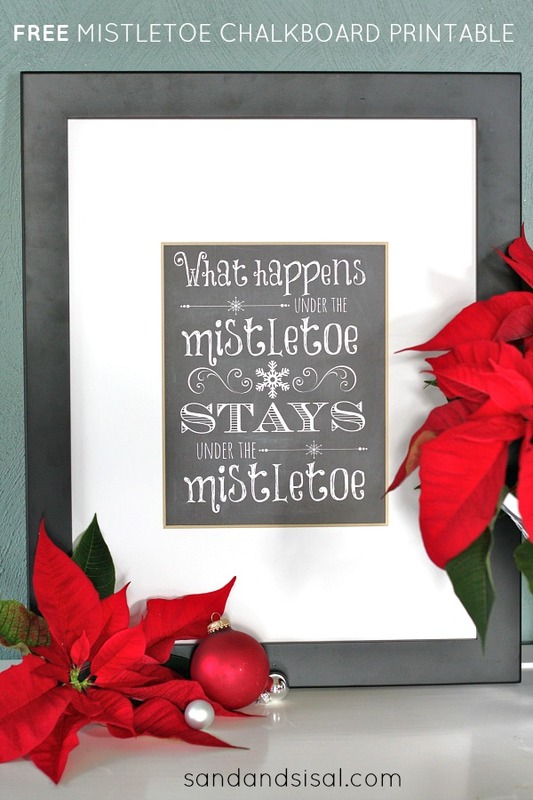 I created a fun and FREE Mistletoe Chalkboard Printable for you! It is a PDF file that will print out an 8×10″ print. This would make a nice little gift don’t you think? 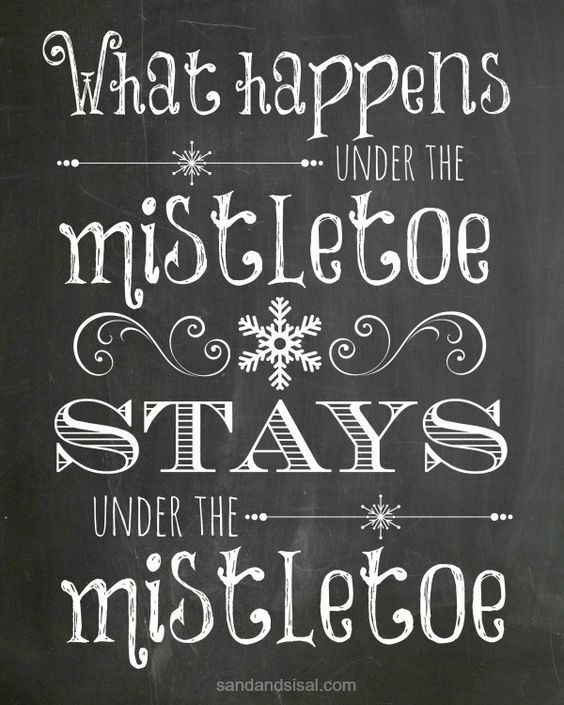 I haven’t bought any mistletoe yet this year but I know that hubs is looking forward to it! hee,hee,hee. And if you have already, well your secret is safe with me! PS: After printing, if you feel it needs more “chalkiness” then feel free to rub a few random areas with a piece of chalk and rub off with your finger. Instant realism! It will open up the PDF file and then click the printer icon and print it out. I suggest printing it out on card stock paper and set you printer settings to card stock and best quality. Hope you and your family have a joyous Christmas! Glad you like it! Have a wonderful an very Merry Christmas my friend! Love it! Thanks so much for sharing. I really enjoy following your site. Merry Christmas! Thanks and Merry Christmas and a fabulous New Year to you and yours!!! HAha! Thank you so much Ti! This is great, can’t wait to print and see the smiles 🙂 thank you so much! You are very welcome! Merry Christmas! Can I get this in a 11 by 14?? I don’t have one made that size, but you can print it out in the highest quality settings you have and take it office max or staples and have them enlarge it for you something closer to that size.